Congress appears to be no closer to passing any significant legislation on drug pricing after the second of three hearings on the topic by the Senate Committee on Health, Education, Labor and Pensions. The Oct. 17 hearing featured five different witnesses from the drug supply chain, but the different sectors and senators spent much of the two hours finger pointing, leading to a lack of consensus about which aspects of drug pricing lawmakers should address through legislation. One area the witnesses did agree, though, was the topic of drug importation as a way of lowering drug prices, to which all conveyed resounding opposition. Witnesses frequently portrayed their own sector as having less responsibility for the price of drugs than other sectors. For instance, Lori Reilly, executive vice president of policy, research and membership at Pharmaceutical Research and Manufacturers of America (PhRMA), said hospitals are getting reimbursed three times that of brand drugmakers through the 340B drug discount program. Reilly also pointed to pharmacy benefit managers (PBMs), who she said secured over $100 billion in rebates and discounts, which often does not get passed onto patients. Association for Accessible Medicines (AAM) CEO Chip Davis said the generic industry is "absolutely, unequivocally seeing an increased effort on the part of certain branded manufacturers with respect to the amount anticompetitive behavior designed to keep generics and biosimilars off the market." "I think the reality is overall, the reason we are seeing this is because there are companies that are doing the business math and political math and thinking they can actually get away with it," Davis said. For his part, Pharmaceutical Care Management Association President and CEO Mark Merritt asserted that PBMs typically reduce drug prices by 30% in spite of rising list prices. Also testifying at the hearing was Elizabeth Gallenagh, senior vice president of government affairs and general counsel at the Healthcare Distribution Alliance, and Thomas Menighan, executive director and CEO of the American Pharmacists Association. The finger pointing led to many questions from senators about transparency regarding where in the supply chain the money for drugs goes. Sen. Tammy Baldwin, D-Wisc., called for Congress to pass a bill she is sponsoring with Sen. John McCain, R-Ariz., called the Fair Accountability and Innovative Research (FAIR) Drug Pricing Act of 2017 (S. 1131). The bill would require manufacturers of certain drugs with a list price of $100 or more per month to report to the Department of Health and Human Services (HHS) price increases of 10% over a 12-month period with a justification for the price increase. But Reilly contended that the legislative proposals often focus on drug pricing transparency have revolved around brand companies, and have failed to account for other players in the industry. "So if we are going to have a discussion on transparency, which we would welcome, we think it is important to have one that holistically involves the entire supply chain," Reilly said. Senators and witnesses failed to find any significant common ground on which elements of drug pricing need to be addressed, signaling that lawmakers are no closer to passing legislation on the issue anytime soon. 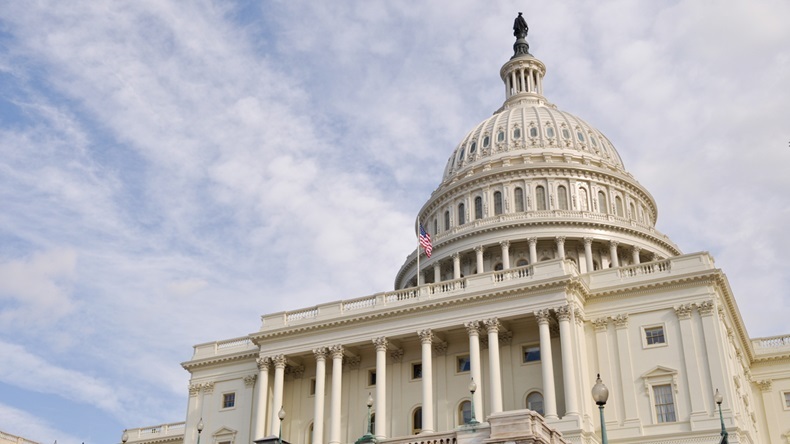 The HELP Committee's third and final hearing on drug pricing will take place next month, where senators will discuss an upcoming National Academy of Sciences, Engineering and Medicine (NASEM) report on ensuring patient access to affordable drugs. Lead author Norman Augustine, who has served on the President's Council for Science and Technology and is a retired chairman and CEO of Lockheed Martin, will be testifying. Reilly took on a large chunk of the spotlight from senators, most notably an exchange with Sen. Elizabeth Warren, D-Mass, about monopolies. Warren accused brand companies of gaming the system by pushing their monopolies on innovative drugs to more than 10 years, despite the law allowing for five years of data exclusivity. The Massachusetts senator cited a 2015 study conducted by Harvard University researchers, which found that the median exclusivity period for the most widely used drugs was 12.5 years. "Taxpayers watch when we have granted exclusivity to these companies, and then they watch when the prices go up, and there is not a darn thing for taxpayers to do about it," Warren said. "This is just fundamentally wrong." Reilly noted that the patents of innovator pharma companies last 20 years, adding that generic drugmakers generally attempt to get their products to market as soon as the exclusivity period ends. "Senator Warren, I am simply saying that companies have five years of data exclusivity," Reilly said. "Immediately after that, a generic can get to market. And let me tell you, they try very hard to get to market as soon as they can." Warren countered, "And you are saying that the drug companies don't game the system at all to expand their exclusivity to an average of 12.5 years," Warren asked rhetorically. "Please. Try the story on someone else." Reilly also had an exchange with Sen. Bill Cassidy, R-La., where Cassidy raised concerns about innovators raising prices on established drugs that are near the end of their patent life. Cassidy specifically pointed to a 2016 Wall Street Journal article, which found that the prices of top-selling insulin products more than doubled since 2011. "I would say last year price increases for all drugs was at 2.5%," Reilly said. "So price increases have certainly moderated over the last few years. While that may have been the case several years ago, we are not seeing the type of price increases today that we had years ago." But Cassidy also broached the subject with Merritt. The Louisiana senator said he heard from Mylan NV CEO Heather Bresch that the company had to raise the price of EpiPen(epinephrine injection) to meet the demands of increased rebates from PBMs. Merrit disagreed, contending that Mylan "raised the price of EpiPen 400% just because it felt like doing it." "The simplest thing is for them just to lower their prices," Merritt said. "Typically, a rebate goes up because a price goes up. If the price goes up, our clients are going to demand we get more of a discount. That's just how it works." HELP Committee Chairman Sen. Lamar Alexander, R-Tenn., questioned the need for rebates in drug pricing, and suggested having lower list prices on drugs. Merritt suggested that PBMs would be "open" to such a move. Reilly, however, contended that PBM's enjoy high rebates on high-priced drugs, noting that "they get a big check at the end of the day from those rebates." "They then can use those rebate dollars to do what they want to do with them," Reilly said, adding that PhRMA would like to see the rebates passed onto patients at the pharmacy.